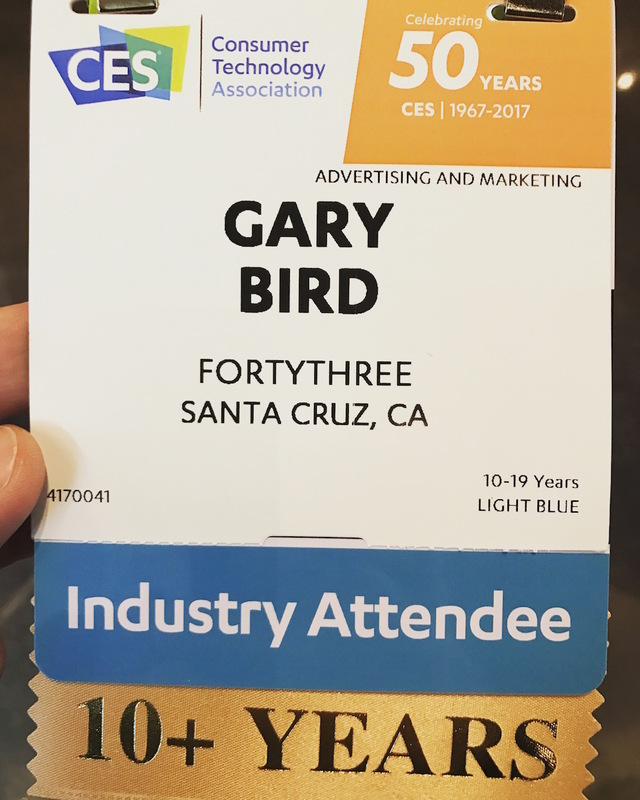 At the start of each year, the FortyThree team returns to Las Vegas for the Consumer Electronics Show (CES), the world's largest technology event. We had several clients exhibiting at CES 2017, including Portal, Stern Pinball and First Orion, among others. 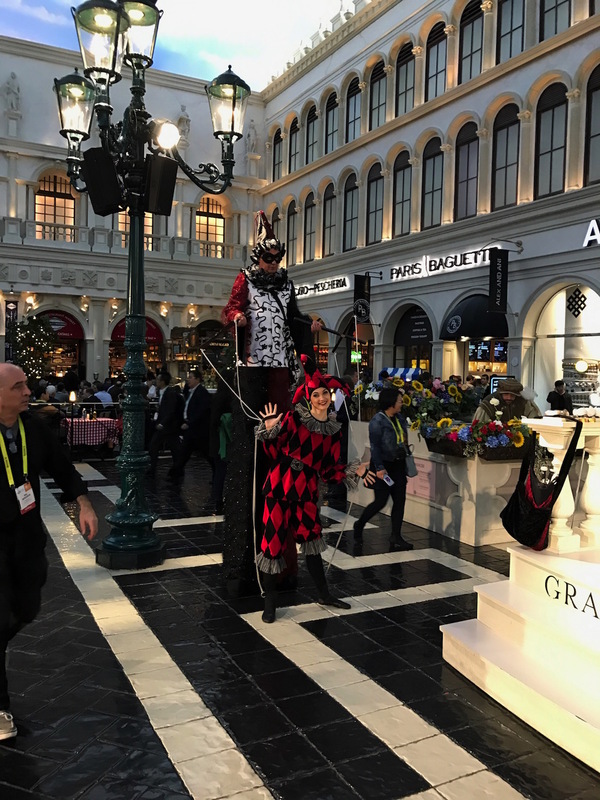 While our team had a blast representing our clients at media events and on the show floor, we also took advantage of all that the Entertainment Capital of the World has to offer—sans Little White Chapel. Highlights of the trip include CNET's Blink 182 concert, knocking down pins at Brooklyn Bowl, playing a round at Top Golf and flying drones at the Drone Rodeo. If there's one thing everyone can agree on at the Consumer Electronics Show (CES), it's the awful WiFi. Luckily for this year's attendees, the team from Ignition Design Labs came prepared with Portal, the smart whole home WiFi system that is shaking up the wireless networking space. At Pepcom Digital Experience and ShowStoppers, the team demonstrated how the Portal router delivers consistently fast and reliable WiFi, especially when you're surrounded by multiple competing WiFi networks or devices. Members of the media had the opportunity to experience its power first-hand at the Showstoppers Internet Lounge, sponsored by Portal. Even in the extremely congested environment, Internet Lounge visitors saw consistent speeds of 150+ Mbps. Portal was an honoree at the CES Innovation Awards showcase and a finalist in the Last Gadget Standing contest. Have you ever wondered what it's like to see the world through the eyes of a bird? 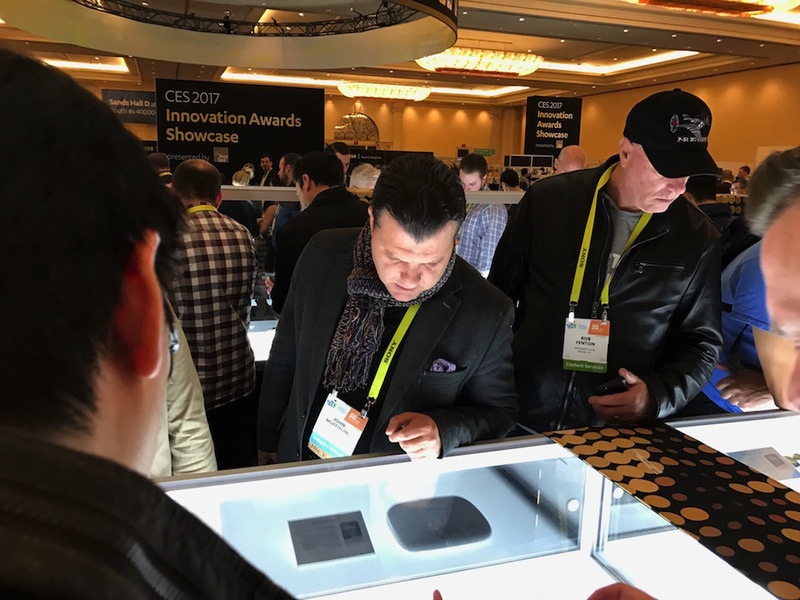 At Drone Rodeo, the premier pre-CES drone event, Avegant gave the media and members of the public the opportunity to do just that. While wearing Avegant Glyph, the world's first mobile personal theater experience, Drone Rodeo participants could experience the next level of drone piloting and the beauty of flight with ultra-high quality, ultra-fast streaming first-person view. With 360-degree head tracking, the cutting-edge headset offers users of any HDMI-equipped drone a unique, detailed view of the world from above. In addition to drone piloting, Avegant Glyph allows users to watch or stream any type of existing media, including an immersive 360-degree and side-by-side 3D. On select CES-bound United Airlines flights, several passengers were able to take Avegant Glyph for a spin. Then, during CES, the Avegant team demonstrated the headset's many features at Pepcom Digital Experience and the CES Innovation Awards Showcase. Stern Pinball, the world's oldest and largest producer of arcade-quality pinball machines, made its triumphant return to the Consumer Electronics Show (CES) in Las Vegas this year. Visitors to Stern's CES booth had the chance to play six Stern Pinball machines, including Batman 66, the Pabst Blue Ribbon-themed "Can Crusher," Spider-Man and the brand new Aerosmith Pinball. At Pepcom Digital Experience and ShowStoppers, members of the media enjoyed taking the Aerosmith machine for a spin. In addition, Stern Pinball showcased its new VR Pinball, as well as iOS pinball, Xbox and PS4 pinball games. The team had a great time speaking with USA Today, Entrepreneur Magazine, Forbes and many other publications. This week, we held a ribbon-cutting ceremony to mark the opening of our new multimedia studio, which adds visual content creation to our full-service PR capabilities. This new service will further fuel our digital advertising offerings, which consist primarily of targeted paid acquisition campaigns through social media and search. For more than 10 years, our full-service agency has delivered relevant and authentic consumer public relations strategies necessary for start-ups and established brands to succeed in the market. Our new offering is part of a larger growth plan led by customer demand. The FortyThree multimedia studio features a full-size green screen with professional-grade lighting and audio equipment necessary for product hero images, headshots or full-motion video. Our in-house production team can create promotional videos, animations and other visual content for clients to use on corporate websites and in social media campaigns. Watch a customer testimonial video we produced for our client, ContainerX, plus an animated video we created for our client, Iontuition. Congratulations to our client, Home Chef—a Chicago-based meal kit delivery service—on securing $40 million in Series B capital (TechCrunch)! This funding, provided by L Catterton, will allow Home Chef to sustain its rapid growth in the $1.5 billion US meal kit industry. Home Chef has grown its shipment volume by over 150x since the beginning of last year, and is now delivering more than 1.5 million meals per month to over 97 percent of the country. The company's diverse menu of familiar, easy-to-prepare recipes has catapulted Home Chef's success. Home Chef enables customers of all cooking abilities to prepare meals for only $9.95 per serving, unless otherwise specified. Customers can fully customize their weekly delivery, selecting any combination of dinner options plus add-on items such as breakfasts, smoothies and fruit baskets. Try out Home Chef today! Congratulations to our client, ContainerX, on being acquired by Cisco (Cisco Blog)! Launched a year and a half ago by a small team of engineers from Microsoft, VMware and Citrix, ContainerX created the world's first multi-tenant container platform for Linux and Windows. A self-hosted CaaS platform, ContainerX is the most powerful way to manage Docker in the enterprise. We started working with ContainerX just before the company launched its first beta product in November 2015. Each month following that, the company released a beta, leading up to its general availability announcement in June 2016. The power of Cisco’s cloud (ZDNet) and ContainerX’s expertise has potential to offer a turn-key cutting edge private and hybrid cloud to customers. And with the help of the massive distribution channels and reach that Cisco provides, ContainerX can build a bigger team and expand its reach and impact. We wish ContainerX the best of luck on the next chapter! Thank you to Bill Tysseling and the Santa Cruz Chamber of Commerce for the opportunity to speak with fellow panelists commissioner Zach Friend and Bay Area News Group’s Michael Turpin about the ever changing landscape of the news industry. It was great to see community business leaders pack the house.